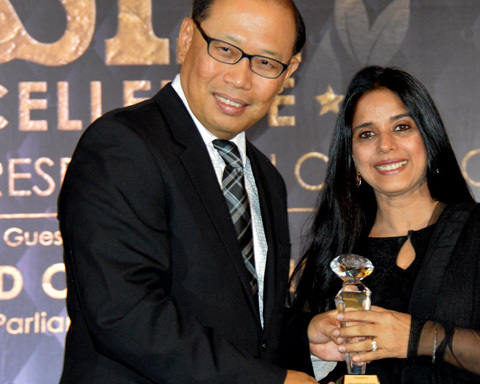 The Asia Excellence Award are designed to recognize the achievements and excellence in management acumen, financial performance, corporate social responsibility, environmental practices and investor relations. Since its inception in 2011, this award has been bestowed on the Best CEO, Best CFO, Best Corporate Social Responsibility, Best Environmental Practices, Best Investor Relations, Best Investor Relations Professionals and Best Financial Public Relations Companies. For this year edition, the winners were picked from several countries across the region, including P.R China , Hong Kong , India , Japan, Korea, Indonesia , Malaysia , the Philippines , Singapore , Taiwan, Thailand , Vietnam.